Yellow Out is a chemical breakthrough! Amazing cleanup results when used prior to shock treatment with an EPA-Registered chlorinating compound that kills green or mustard algae. 1. (a) NEVER pre-mix YELLOW OUT with chlorine (b) NEVER add YELLOW OUT to a bucket or pail (c) NEVER vacuum pool immediately after application (d) NEVER add to skimmer basket or filter suction line! Very strong reaction with chlorine can occur if not mixed in pool. Circulate pool water through filter and, for best results, brush pool well before beginning. 2. SHAKE WELL TO BREAK UP THE LUMPS (product lumping in transit is normal). 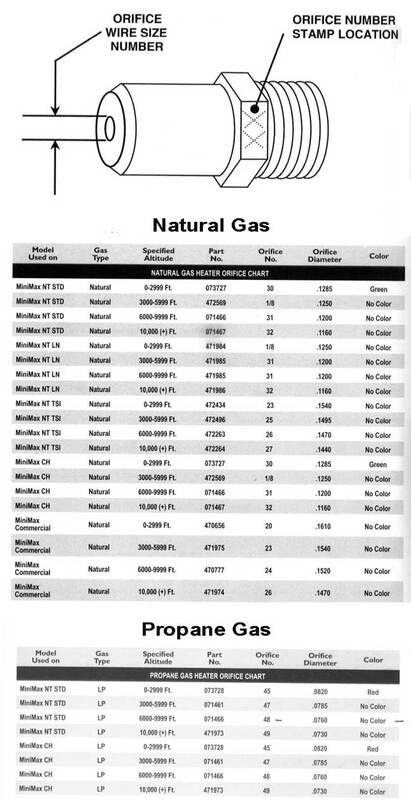 Adjust chemical balance to: pH > 7.8, alkalinity 80 -120 ppm, cyanuric acid 25 - 75 ppm and chlorine level 2 - 2.5 ppm. 3. 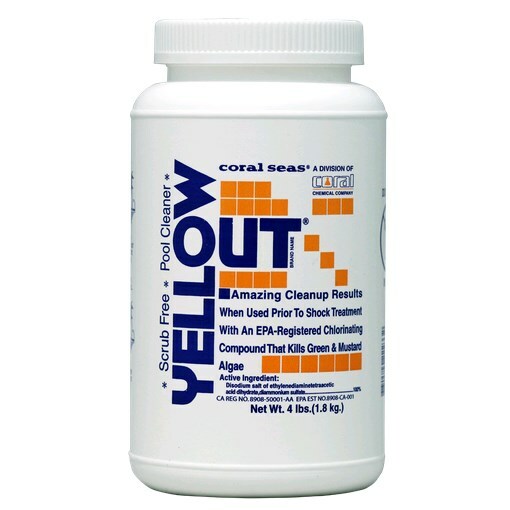 ADD DIRECTLY TO POOL 2 POUNDS YELLOW OUT per 15,000 gallons water. Spread half of it along the perimeter of the pool, starting where the algae are the thickest. Concentrate the rest directly over the problem areas. Never add more than is recommended. 4. 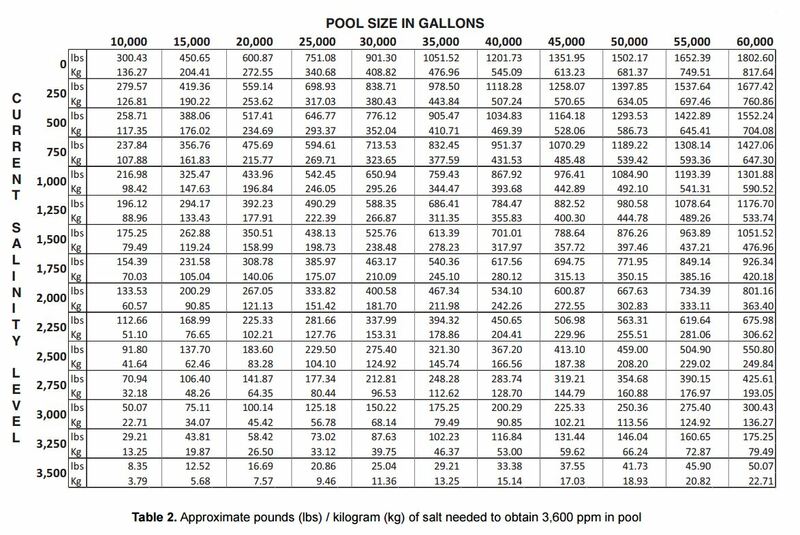 WAIT 5 MINUTES, THEN ADD DIRECTLY TO POOL 2 pounds powdered chlorine (or equal) per 15,000 gallons water. 5. CIRCULATE POOL WATER with filtration continuously for 24 hours using only the main drain if possible. Repeat step 4, adding additional chlorine after 12 and 24 hours. 6. Return equipment and chemical balance to normal after clean up.